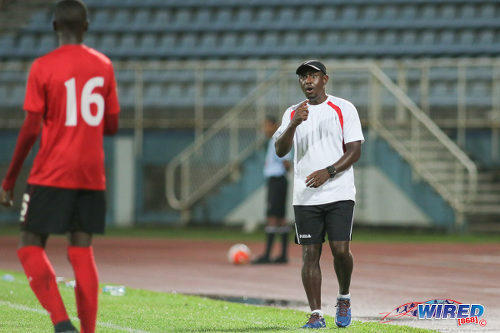 The Trinidad and Tobago Men’s National Under-20 Team will start their 2018 Central American and Caribbean (CAC) Games adventure in Barranquilla, Colombia on Friday, as coach Russell Latapy tries to make his mark with what is expected to be the youngest squad in the competition. The young Soca Warriors face Honduras in their opening match at the Romelio Martínez Stadium on 20 July, while they will also meet Costa Rica (22 July) and Colombia (24 July) in Group A action. 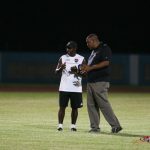 Photo: Trinidad and Tobago national youth team coach Russell Latapy (right) passes on instructions to midfielder Nickel Orr during CFU U-17 action against Jamaica on 20 September 2016 at the Ato Boldon Stadium in Couva. The top two teams advance to the semifinal round where where they will tackle opposition from Group B, which compromises of Mexico, Venezuela, Haiti and El Salvador. 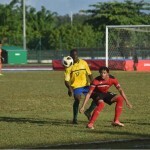 The CAC men’s football competition is under-21 with all teams allowed three over-age players. 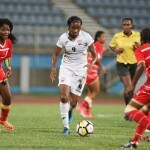 The core of Warriors head coach Russell Latapy’s is essentially under-19, as he uses the competition as preparation for Trinidad and Tobago’s Poland 2019 Under-20 World Cup qualifying series. 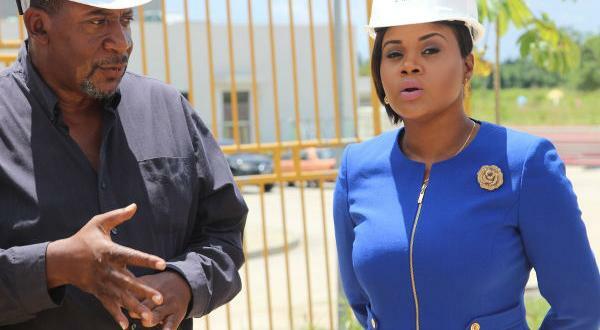 In contrast, Trinidad and Tobago’s opponents will generally use the competition as preparation for the Tokyo 2020 Olympic qualifiers. The Olympic Games is an under-23 competition for men’s football. 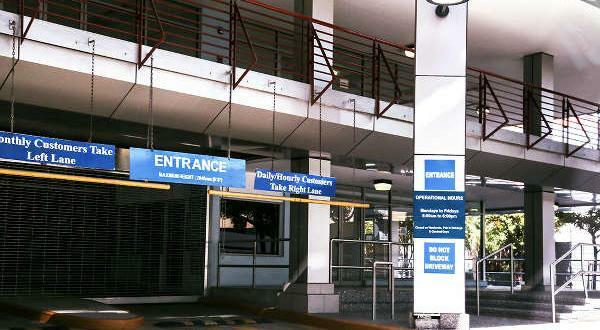 Latapy’s three over-age players for the competition are W Connection defenders Tristan Hodge and Isaiah Garcia and Stony Brook University (USA) attacker Jarred Dass. 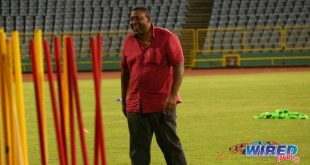 “The main focus is on preparation for the Under 20 Qualifiers at CONCACAF Level in November,” Latapy told the TTFA Media, “so the squad selection for the CAC Games was made with that in mind. We are taking players who are 18 and 19 years old but we also needed some experience at the back and are very fortunate to have Triston Hodge from the senior team making the trip with us. 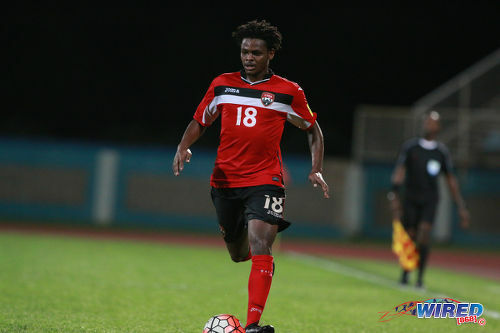 Photo: Trinidad and Tobago left back Tristan Hodge advances during 2017 Caribbean Cup qualifying action against the Dominican Republic at the Ato Boldon Stadium in Couva on 5 October 2016. 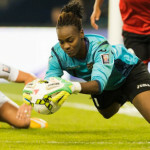 Hodge, a versatile left-sided defender, is 23 and has 12 senior international caps—which includes one appearance during Trinidad and Tobago’s unsuccessful 2018 World Cup qualifying series. He is also too old to represent the Warriors in the upcoming Olympic qualifiers. Garcia, who can operate at left or right back, is 20 and the cousin of team playmaker, Judah Garcia. Garcia (I) represented the previous National Under-20 team alongside Dass, who is also 20 and a former Connection youth player. 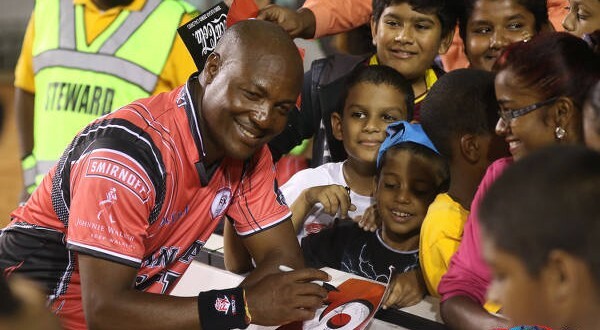 Hodge is looking forward to the challenge in Barranquilla. 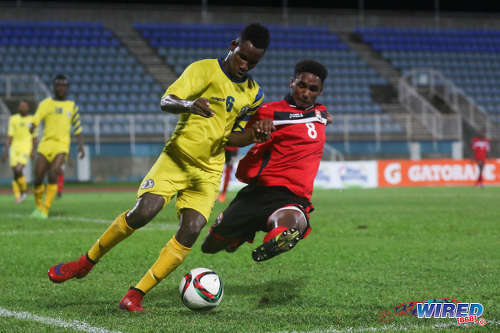 Photo: Trinidad and Tobago winger Jarred Dass (right) tackles St Lucia defender Melvin Doxilly during 2016 Under-20 Caribbean Cup qualifying action at the Ato Boldon Stadium on 19 June 2016. Forwards: Isaiah Lee, Jayden Prowell. I am surprised Jordan Riley, Kishon Hackshaw and Brandon Semper did not make the squad. He went to Naparima. Overseas clubs would never release a player for a tournament like this unless they were not playing him. Even if we qualified for the Olympics, it would be difficult to get clubs to release players for it. 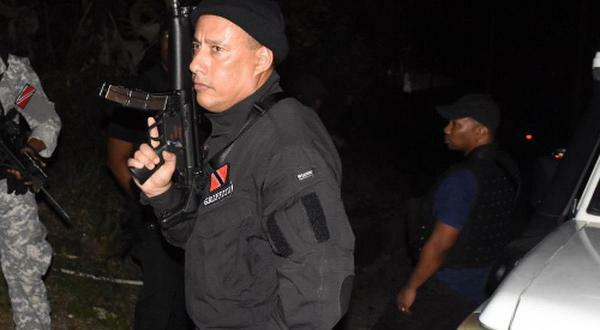 All clubs have that issue but it is worse when you are an unheralded football nation like Trinidad and Tobago.